Pretty Apartment over 2 storeys, in very quiet complexe, close to church square, Terrace 16m2, Solarium 16m2, Private Parking,TV+Sat, Air Condition, Wifi-Service renovated in 2014. Perfect for long stays in Winter Time, soft clima all over the year !! 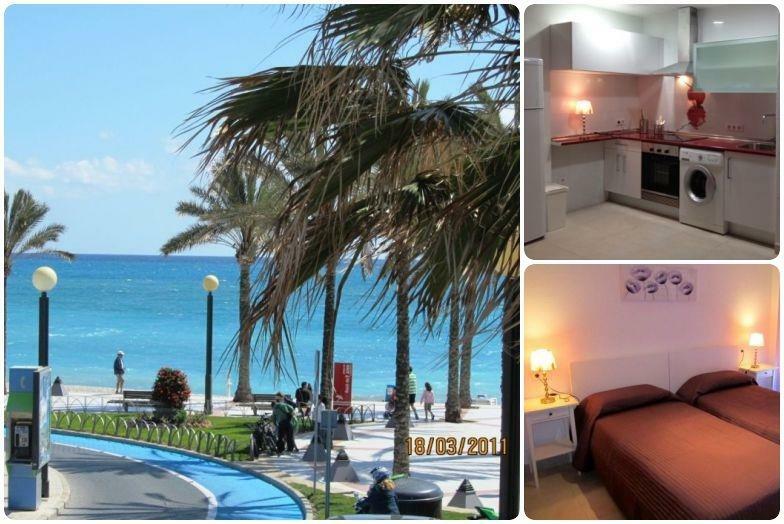 The apartment is very centrally situated for the Old Town and js a 15 minute walk to the beach. The assigned parking space in the garage is excellent in view of the tight parking restrictions in the area. The apartment has been tastefully refurbished and is well equipped, except for the absence of wifi. There is a good sea view from the two balconies which, even in March, had the sun from dawn until early evening. The living area and two bedrooms are spacious ,very comfortable, and quiet. Overall a great place from which to explore the delights of Altea.